Lock in a great price for Hotel WZ Jardins – rated 8 by recent guests! 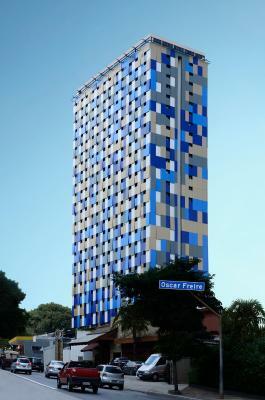 Great location just off Paulista Avenue, across from a gorgeous park. Very Chic with rooftop lounge. Excellent breakfast, be sure to include. Spacious room. Great location - metro is just a minute’s walk from the hotel. Great shops and restaurants nearby. The room size was excelente, but no wardrobe at all. Perfect location where you can find anything you need and go anywhere you want from to. Nice place. With all the basics and over and above average. Excellent in many aspects. I loved the simplicity and the lean business model they use. The check-in was smooth and everything was of a higher quality. For Sao Paulo, it was a great place. The staff esa extremely helpful, carismatic and available to help whenever we needed. The hotel was full - I booked the last room available! - and they had some event going on, so it was a bit hectic, but the staff was very nice and helpful. It's clean and well located, apart from that my room had a great view. Property seems new but a lot of it is unfinished. Some of the finishes were just poorly made, painting on the room doors were black and peeling off. Not very cosy. 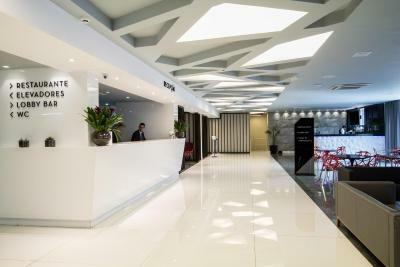 Hotel WZ Jardins This rating is a reflection of how the property compares to the industry standard when it comes to price, facilities and services available. It's based on a self-evaluation by the property. Use this rating to help choose your stay! 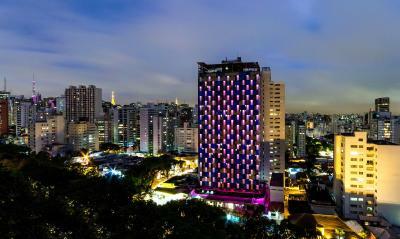 One of our top picks in São Paulo.Ideally located in the Jardins district of São Paulo, just 250 feet from the famous Oscar Freire Street where guests can find various high-end shops,bars and restaurants, WZ Jardins offers accommodations with free WiFi in the public areas and private parking on site. The modernly decorated rooms at Hotel WZ are soundproof and offer air conditioning, a mini-bar, a flat-screen TV with cable channels and a work desk. 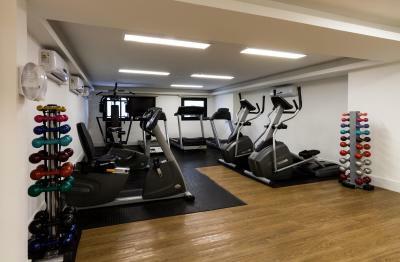 Guests benefit from a fitness center and meeting facilities. 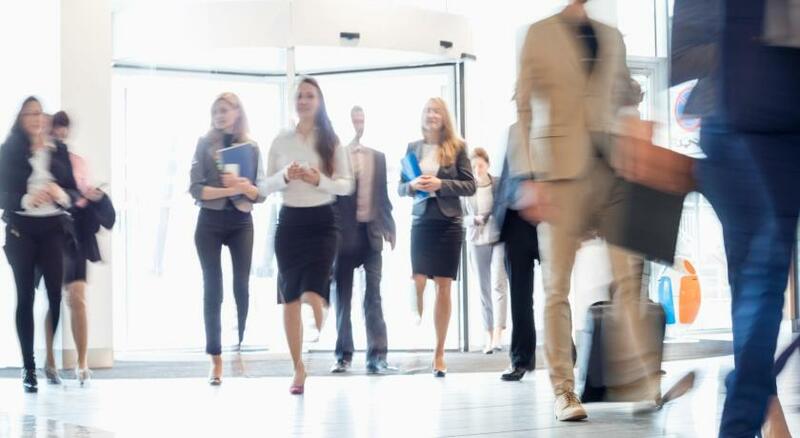 A 24-hour front desk is also available to provide assistance to guests. Restaurants and bars can be reached in walking distance. MASP - Museu de Arte de São Paulo is just 1.2 mi from the hotel, while Pacaembu Stadium is 1.9 mi away. Oscar Freire subway station is just a 3-minute walk. The nearest airport is São Paulo/Congonhas, located 5.9 mi from WZ Jardins. 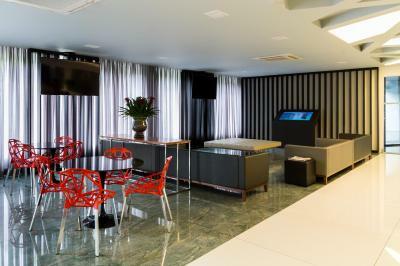 When would you like to stay at Hotel WZ Jardins? This soundproof room offers air conditioning, a safe, a flat-screen TV with cable channels and a mini-bar. The private bathroom includes a shower. This spacious soundproof room offers air conditioning, a safe, a flat-screen TV with cable channels and a mini-bar. The private bathroom includes a shower. This larger soundproof room offers air conditioning, a safe, a flat-screen TV with cable channels and a mini-bar. The private bathroom includes a shower. This triple room features a cable TV, soundproofing and air conditioning. House Rules Hotel WZ Jardins takes special requests – add in the next step! Hotel WZ Jardins accepts these cards and reserves the right to temporarily hold an amount prior to arrival. Please note that for each unit booked, there will be one parking space available for the price of BRL 15. Any extra vehicle will be charged BRL 30 (for the period of 12 hours) or a daily fee of BRL 60. Perfect location and amazing breakfast. Because there is a nightclub inside. It’s super noisy. The noise continue until midnight. Would have liked early checkin, but that’s not the hotels doing. They likely are very busy, even so it felt uncrowned. Too expensive for what was offered. TV turned on during the night and was frozen during mostly of the stay. Shower was good but flooded the bathroom. Well located. Big room. Professional staff. Breakfast was fair - no hot breakfast though. Staff do not speak English, especially at the front desk. This is not acceptable. It was impossible to get advice, directions or any other information from the front desk. At least the porter attempted to communicate in English. Noise from the street carries through easily. The hotel is on a busy Main Street and there is traffic throughout the day and night. Therefore serious consideration should be given to making the rooms soundproof. The bathroom was said for disable ones, but the sink size, the toilet top and the faucet format was not adequate. the rooms are far away from any cleaning or proper hygiene. I found long hair everywhere including my bed sheets. Secondly they use the same duvet cover but they just put place a sheet on one side of it. This can’t happen in a 1 star Hotel. Great Location and very central. Breakfast space is small and gets crowdy. Excellent breakfast, lots of options. This was not my first time there but now something was different for the bad. Staff seams a bit too cold and sometimes not happy. Also one thing remains the same, the perfume they spread all over the hotel. It’s cheap and too sweet. You get sick of it. Quite far from both airports. But yeah, this is Sao Paulo!